Staying healthy with Vitamin D.
Can a vitamin supplement regimen really stave off pain and serious diseases, especially those tied to aging, like heart disease and stroke? We’re all looking for the fountain of youth. Many seniors seek it in the form of supplements. In fact, about 68 percent of folks 65 and older take supplements; 29 percent take four or more. That’s a lot of money to find that fountain in capsule form. Vitamin D is an important nutrient for good health for seniors. It helps the body absorb calcium, which supports strong bones and muscle function. Some studies show it may support the immune function and help protect against cancer. The past year saw a number of research-based findings on the subject of vitamin D. The bottom line? People with vitamin D deficiencies don’t have to spend a lot of money on supplements to fix the problem. The good news is diet and sunlight are effective ways to get this key nutrient. You can find vitamin D2 in foods, vitamin D3 in sunlight. Some experts believe vitamin D3 is the more important of the two, especially for seniors. Without a sufficient amount of vitamin D3, bones can become softer, a condition called osteomalacia. People who suffer from digestive problems like celiac disease, liver problems, or Crohn’s disease are often found to have low levels of vitamin D3. Sunlight helps the body create vitamin D3. Older citizens tend not to get as much sun as they need for sufficient vitamin D3 absorption. Reduced mobility often limits opportunities to get out into the sunshine, and people fear exposure to the sun will cause skin cancer. But most authorities reiterate what we’ve known since our teens: normal exposure is good; burning is bad. So you don’t need sunscreen for a daily walk in the neighborhood to get some free vitamin D3. Eating healthy is particularly important for seniors and helps lessen the need for expensive vitamin supplements. Tuna, mackerel and salmon provide vitamin D2. Orange juice, cereals, egg yolks, and dairy products – including soy milk and cheese – also contain vitamin D.
Whitney Hardy, M.D., a family practitioner at Ochsner Health Center – Lapalco, says, “Many vitamins and nutrients can be found in a balanced diet,” Dr. Hardy says. 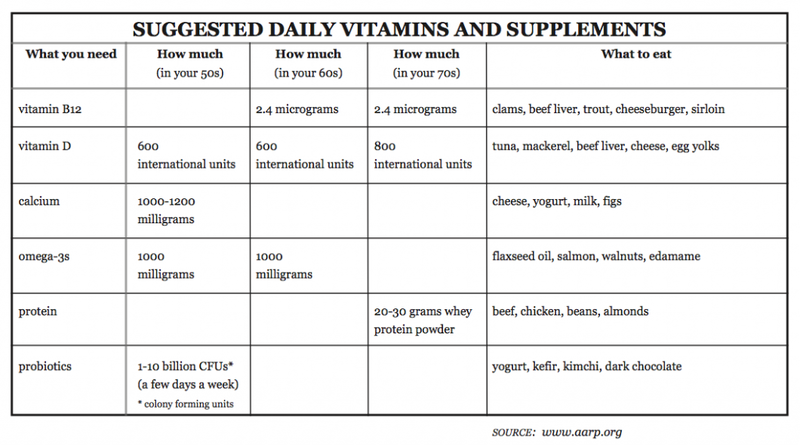 She and the NIH National Institute on Aging agree: it’s better to get your vitamins from food than from supplements. “Instead of taking fish oil ,you can increase the amount of fish in your diet to two to three servings weekly and cook with olive oils as a healthy source of Omega-3 fatty acids,” Dr. Hardy says. Walnuts are also a good source of Omega-3s. Dr. Hardy notes that you can get reliable information on healthy eating online from AARP and the National Institute on Aging. AARP teamed with Tufts University to create MyPlate for Older Adults, an easy-to-understand graphic showing what a reasonable diet looks like for seniors, using food to get the vitamins needed for healthy living. “Everyone does not need vitamins and supplements, [although] they may be helpful for people who are not getting enough nutrients in their diet,” according to Dr. Hardy. Some seniors have depressed appetites and don’t get the nutrients they need because of it. A daily multivitamin would be helpful in that case. As more refined studies update the medical profession’s position on supplement use, some supplements once thought to be useful in disease prevention have been shown to be not only ineffective but dangerous. Some supplements are healthy in small doses; others have been found to have no medical efficacy at all. Yet others are contraindicated for certain medications. If you take vitamins or supplements, it’s important to keep your physician informed. Valerie J. Andrews is a writer and communication strategist in the Greater New Orleans area. 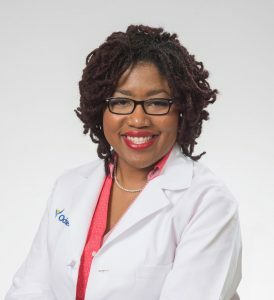 She has been published in the Journal for Minority Medical Students, the Nursing and Allied Health Journal, Ascension Parish magazine, and the Loyola Maroon, to name a few.